To keep your FOA certifications and membership active, you need to renew every year (or two or three - longer times save you money.) Now we have a new more convenient way to renew - ao online store Paypal - where you can quickly and conveniently use your PayPal account or your credit card to renew your certifications. 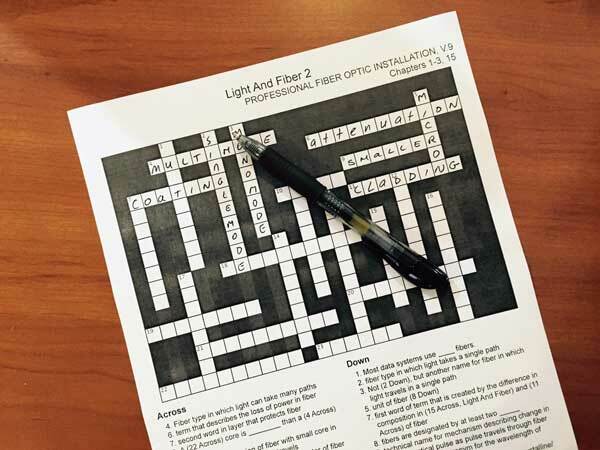 As you read last month, there is a lot going on in fiber optics and cabling. 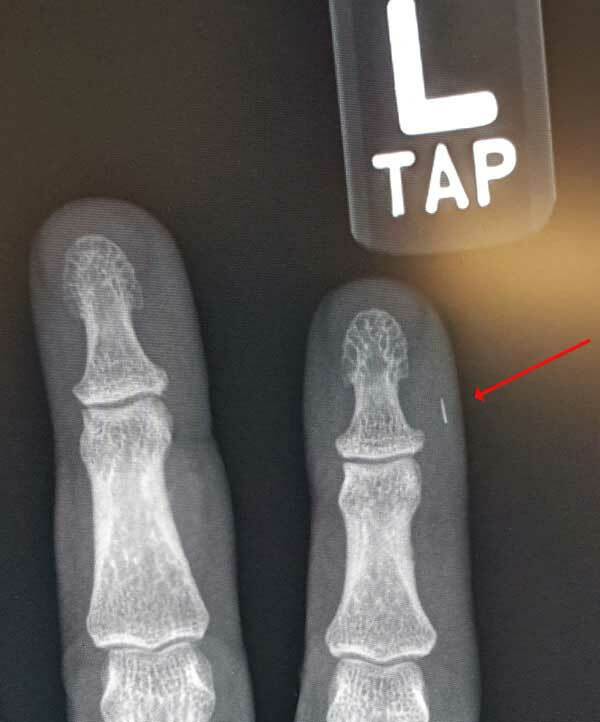 You read it here in the FOA Newsletter where we report every month on what we see happening in the industry and worldwide applications of this technology. When FOA started, we mailed printed newsletters but switched to an online format early in the 21st century. There are now more than 14 years of archived FOA Newsletters and you can search them using our site search powered by DuckDuckGo. 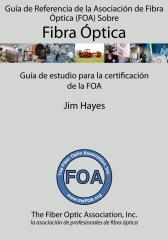 But FOA has lots more sources of technical information we provide to the world, including our printed textbooks and hundreds of pages of technical information in the FOA Guide online. We keep those up to date also, generally updating our textbooks around the beginning of the year and continuously updating the pages on our FOA Guide. We just finished updating two of the books and a third is in the works. 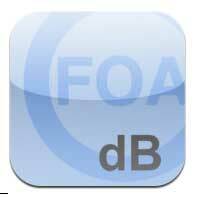 Along with the changes we make to the books, we update the FOA Guide with the same materials. 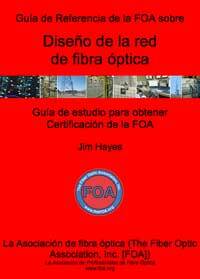 Here is a rundown of the updates we have just completed of The FOA Reference Guide To Fiber Optics and The FOA Reference Guide To Premises Cabling. 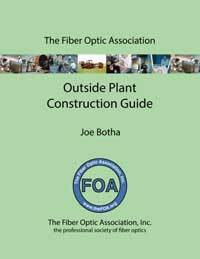 We should have the last updates - The FOA Reference Guide To Outside Plant Fiber Optics - completed by next month. Premises cabling has not been standing still either. 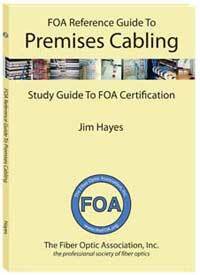 We did many updates to the The FOA Reference Guide To Premises Cabling this time. 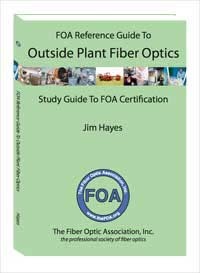 We updated the cable types to include Cat 8, added a section on PoE (power over Ethernet), explained the nomenclature used in the latest TIA 568 standards, added information on POLs (passive optical LANs), DAS (distributed antenna systems for cellular) and a complete new Appendix on Data Centers. 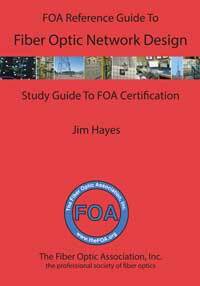 In the fiber optic chapter, we expanded the material on fiber to include POLs, visual inspection and connector cleaning and OTDR testing. 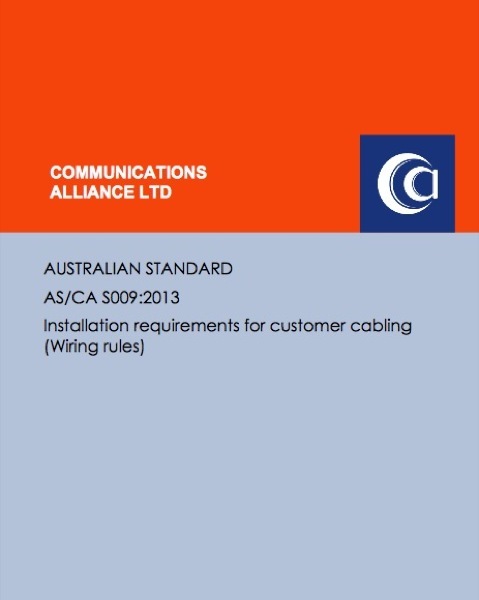 The same updates have been made to the online material in Premises Cabling in the FOA Guide online. We also added a new page just on PoE (Power over Ethernet) to explain its background, applications and potential issues. 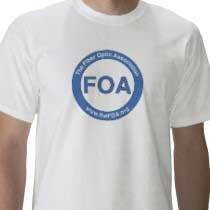 So if you look up information on the FOA Guide online or purchase a FOA printed textbook you will now have the latest information. 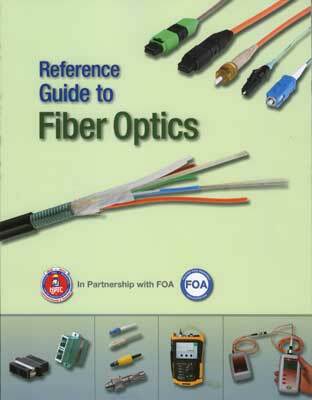 Since we've been updating our reference materials used for training, the related courses on Fiber U are updated also. Finally, we're updating our curriculum used by FOA approved schools to ensure their students get the latest information. This is just another way that FOA tries to make the most up-to-date, technically correct information available to everyone in the industry. FOA has been asked a lot of questions about how modern telecommunications developed. We've been adding information about the history to some of our seminars and recently to our curriculum presentations. Some of the books we've read and presentations we've seen about the history of communications start with signal fires and semaphores, but we're talking modern telecom which we define as "communications using electrical or electronic transmission of signals ." Modern telecom begins with the telegraph, the first successful means of communications using electrical signals, and technically, the first digital communications - dots and dashes instead of ones and zeroes - so definitely digital. Thus our history of modern telecom begins with Samuel F.B. Morse. Lots of experimenters were able to send signals over wires soon after the discovery of how to transmit electricity, but it was Samuel F. B. Morse who made it a communications medium by inventing a code for transmitting text, creating a growing market for the telegraph in the 1830s and 1840s.. The FOA history follows the development of modern communications through Bell, Marconi, De Forest, Shannon, Kao and the personnel at Corning and Bell Labs who have made modern communications possible. We think you will find A Short History of Modern Telecommunications interesting. 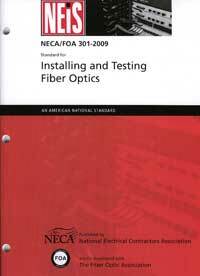 Next we'll add articles on LANs and structured cabling and the development of fiber optics. Trivia for photographers: this photo of Morse was taken not long after photography began in America - the early 1840s. The original is now on display in the Getty Center in LA as part of an exhibition of early American photography. FOA recently was consulted on a very interesting project by NASA involving the manufacture of specialty fibers in space. 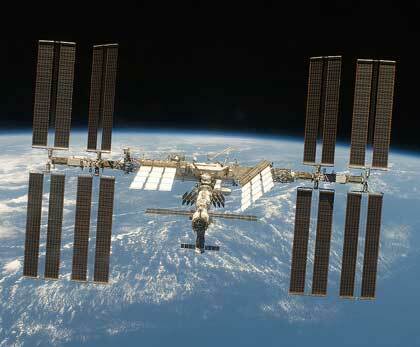 Fiber optics is used for many communications links in space, not only on the ISS but also on satellites. This however is a different kind of experiment. 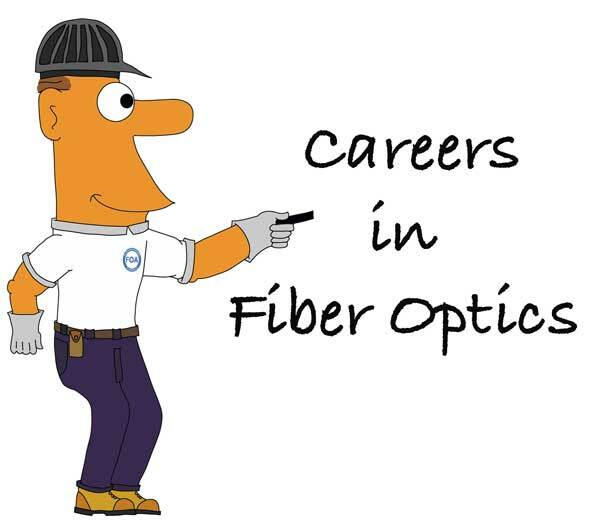 Optical Fiber Production in Microgravity (Made in Space Fiber Optics), a U.S. National Lab investigation sponsored by the Center for the Advancement of Science in Space (CASIS), will demonstrate the benefits of manufacturing fiber optic filaments in a microgravity environment. This investigation will attempt to pull fiber optics from ZBLAN, a heavy metal fluoride glass commonly used to make fiber optic glass. When ZBLAN is solidified on Earth, its atomic structure tends to form into crystals. 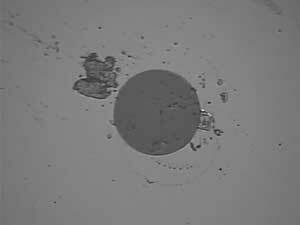 Research indicates that ZBLAN fiber pulled in microgravity may not crystalize as much, giving it better optical qualities than the silica used in most fiber optic wire. Results from this investigation could lead to the production of higher-quality fiber optic products both in space and on Earth. The problem with ZBLAN manufacture on Earth is well known. But experiments on the planes used to simulate microgravity have show sufficient promise to create three of these ISS experiments. On December 15, 2017, SpaceX launched the CRS-13, a resupply service mission contracted by NASA. The Falcon 9 rocket is carried a Dragon space capsule with more than 2,000 kg (4,800 lb) of cargo to the International Space Station including an experiment package created by Made In Space, Inc. that will see if microgravity allows them to produce more efficient optical fibers. The first payload experiment has been completed and the payload returned to Earth. The fiber is now being evaluated. We hope to report on the results of this first experiment and the two following payloads as results are announced. STEM (science, technology, engineering and mathematics) education has become a popular way to introduce young students to the worlds of technology. Sometimes it becomes STEAM with the addition of arts. 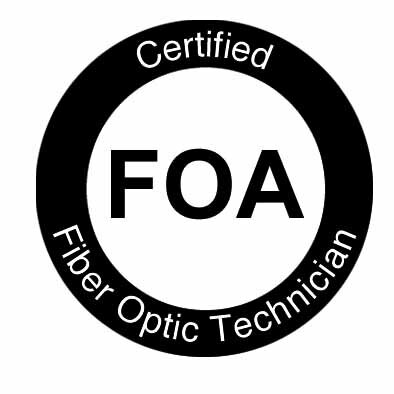 FOA has been offering fiber optic STEM education packages to STEM teachers for years now, sending out samples of POF (plastic optical fiber) for teachers to use in the classroom and give to students to create their own projects. Some of our FOA instructors also participate in STEM programs. As part of the celebration of Engineers Week ,The Engineering Center located on Lindell Blvd in St Louis and founded in 1868 hosted a STEM /College Fair program for St Louis Area students. There were 25 area firms,utilities,consulting Engineers,,Boy Scouts,Chess Club,and many local and regional Universities present. The students and Parents were able to explore and interact the engineering profession with activities,demonstrations and asking questions about STEM related subjects.This three hour program had about 200 students visit the event. Milton J Murry PE represented The FOA and did various demonstrations with fiber optics and explained the opportunities and uses of fiber optics in the St. Louis area and the world. 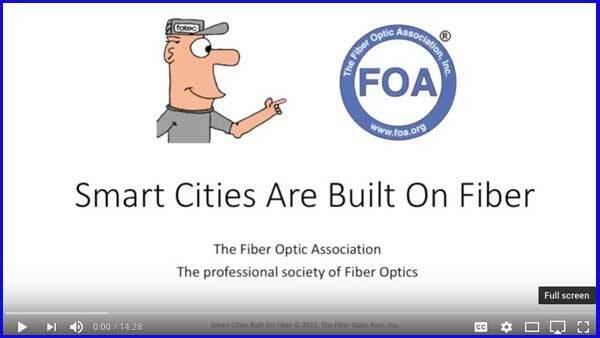 If you or someone you know is involved in STEM or STEAM education and wants to do a fiber optic project, have them go to the FOA page for STEM teachers or contact FOA. The following companies are new corporate members this month. 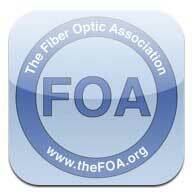 You can find more information on these and hundreds of other FOA Corporate Members in our FOA Corporate database in map and list form.There you will find many companies involved in fiber optics that can help you with products and services to fill your needs. 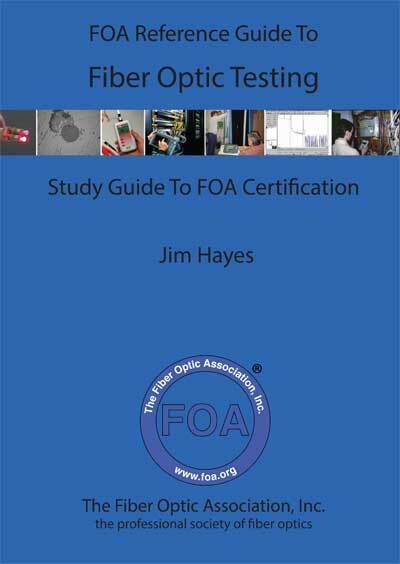 Recently an extended conversation between Eric Pearson and Jim Hayes, both FOA founders, covered the issues of testing fibers at multiple wavelengths. We've summarized the conversation here because there is some very interesting and useful information in it. EP: Testing multimode fiber at both wavelengths (850 and 1300nm) has been recommended to evaluate the presence of stress. If EF (encircled flux) testing fills the 30µ center of the core and 1300 nm testing fills the entire core, is it possible that this difference in core fill would indicate stress, even though there is no stress? JH: There are definitions for EF testing at 1300nm for multimode with similar mode fill requirements included in various standards documents that cover EF so there should be no difference in stress loss due to mode fill. However, you need a 1300nm EF source. But using 1300 nm for finding stress loss may be irrelevant since the majority of multimode fiber today is bend-insensitive (BI) fiber. That's becoming true for more singlemode fiber also, as BI SM fiber is used in microcables, spider ribbons and other new cable types. EP: Is there any reason to test multimode at both 850 and 1300 nm then? How about SM at both 1310 and 1550? 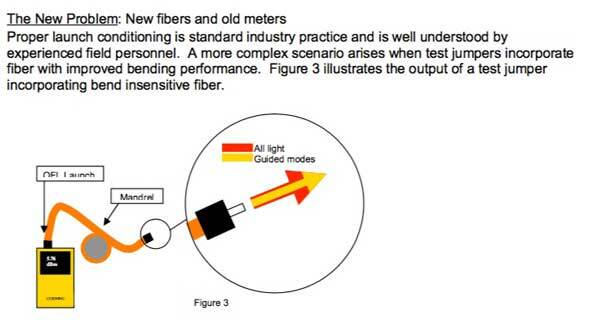 JH: The issue of dropping 1300nm testing of MM fiber has been discussed in standards committees for years. Since the advent of the cheap VCSEL - which of course is only feasible at 850nm - there is practically no use of MM fiber at 1300nm and no real reason to test at that wavelength. But just try to remove something from a standard - it's just about impossible! 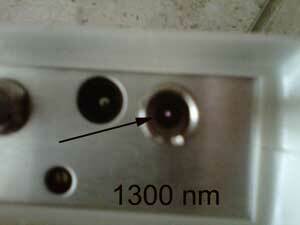 The issue of SM fiber at 1310 and 1550nm is different. Today most SM fiber is probably used at both 1310 and around 1550nm with DWDM systems and PONs, so testing at both wavelengths is necessary. Much of the testing of SM fiber for stress is done by OTDRs at 1625nm anyway, but I do not know how that is affected by BI fiber structures. 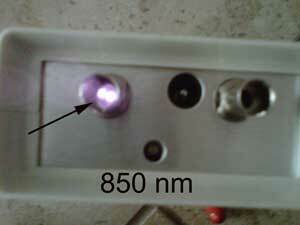 The whole topic of testing MM fiber skirts the BI fiber issues. Controlling mode distribution in BI fiber is problematic. Those 20-25mm mandrels you used for regular MMF don't work with BI fiber. It takes a mandrel ~6mm to produce the same mode filtering as a 20-25mm mandrel, but then the BI fiber structure simply refills the higher order modes. Creating EF in BI fiber is questionable. Standards have recommended against using BI fibers for reference cables (because it produces higher losses than mode-filtered regular fiber) but you are probably testing cable plants with BI fibers. Finding non-BI fiber patchcords to use for reference cables is difficult since most MM fiber is BI. Some manufacturers have made nothing but BI fiber for nearly a decade! 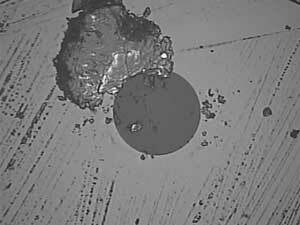 Historical Footnote 1: As an example of how long this issue has been discussed, look at these two clips from Corning AEN-131 from 2009. 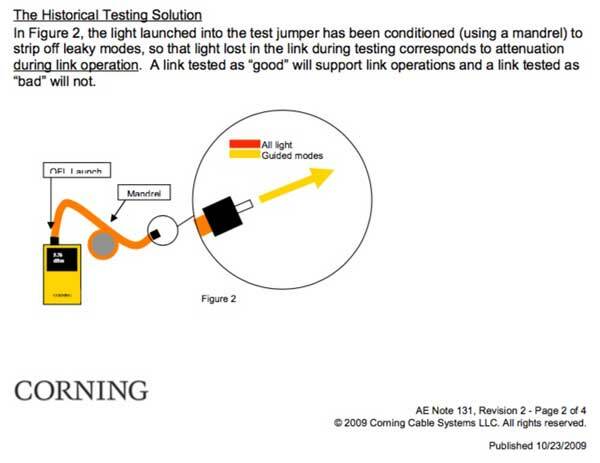 Historical Footnote 2: While searching for this ap note (we found it in our own files where we had downloaded it in 2010), we found another interesting Corning ap note, AN3060, March 2014, on OTDR testing of SM fiber fusion splices. What interested us was this graph, showing OTDR loss measurement differences depending on direction and mode field diameter differences. We remembered another graph similar to this that we (JH) created 30 years ago. You can tell its age by the crudeness of the computer generated graph from Lotus 123, an early spreadsheet program. Out of curiosity we overlaid a red line showing the modern Corning data and the similarity is obvious. The scattering is much less because fibers today are much more consistent (Corning's largest MFD difference was 0.3 microns and the 1980s fiber MFD varied up to 0.8 microns, a combination of actual fiber variations and the greater errors in measurements then) and modern OTDR data is undoubtedly more consistent too. In our analysis of the data, we also had data on the attenuation coefficient of the fiber, so we looked at another relationship that we thought would be useful - loss difference vs the difference in fiber attenuation coefficient. 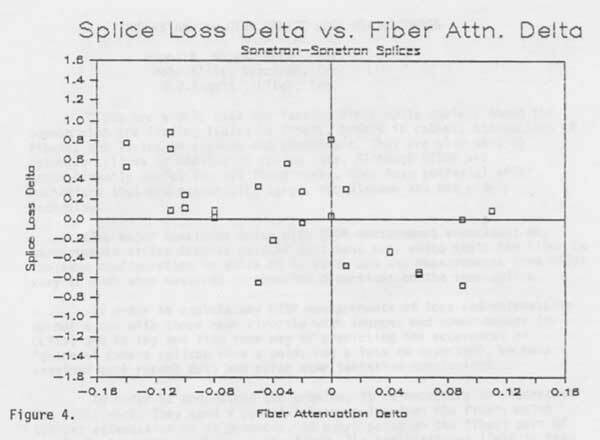 Within the limitations of the data, it's obvious that the directional difference in splice loss is also related to the difference in the attenuation coefficient of the fiber. We found this very interesting because most techs running OTDR tests do not have data on MFD but they can easily measure the attenuation coefficient of the two fibers being spliced. With these early fibers, a difference in fiber attenuation of 0.1dB/km would indicate a loss difference of around 0.4dB. Looking at the difference in fiber attenuation could provide an indication of the potential error of the OTDR loss measurement. 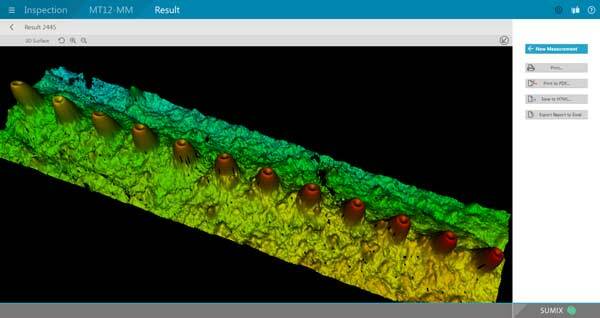 OTDRs could easily calculate this - the data is imbedded in the LSA splice loss measurement. Perhaps if someone would repeat the Corning test with modern fibers and duplicate the graph above to show the relationship of difference in the attenuation coefficient to the difference in splice loss and it looked better - like the Corning data on modern fibers - the OTDR manufacturers might incorporate this and provide a better single-ended splice loss test. 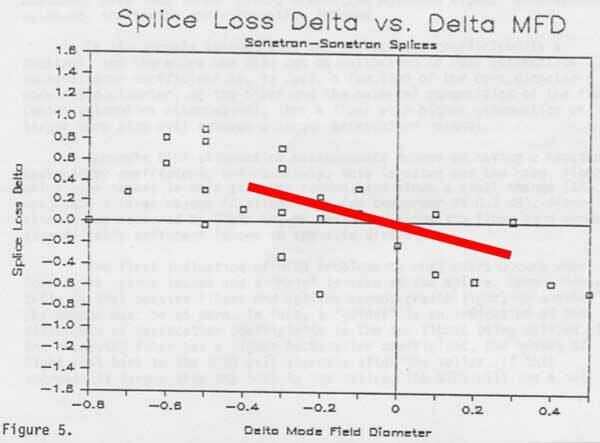 Nitpicking: The Corning graph has a series of black dots labeled "Actual Splice Loss." In the paper they refer to them as " bi-directional averaged (actual) splice loss values." While that is a commonly accepted fact, technically it's inaccurate. 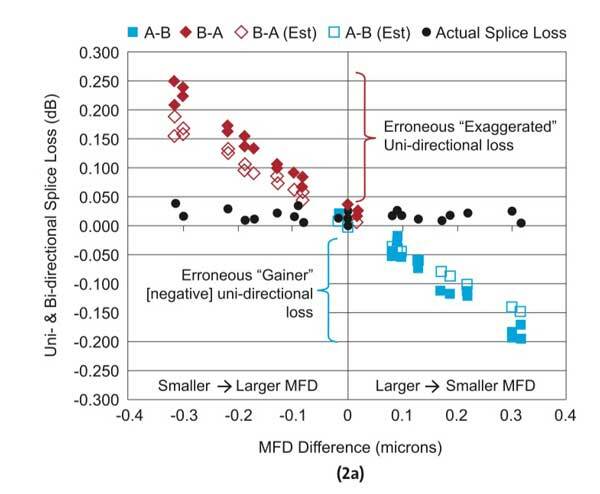 It is really an average splice loss for the two directions, because if you measure the actual loss of a splice between two fibers in each direction, you will find the difference in MFD will cause real differences in loss in each direction. Measuring it is non-trivial, however, and the difference is small with small MFD differences. We go into this in the new FOA book on testing. We've spent some time on this topic ourselves, noting that downstream testing is confusing and upstream testing is the only solution. 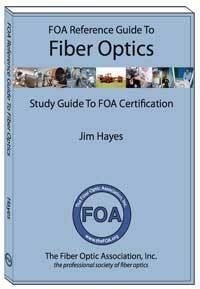 But FOA Master Instructor Joe Botha of Triple Play Fibre Optics in South Africa has encountered a new issue - drop cables are often BI fibre (G.657A) while feeder and distribution cables are regular G.652D. He's done some research on the issues and written an article for a website in South Africa we can share with you. 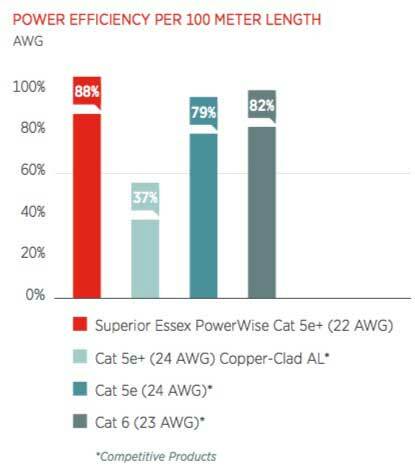 This graph showed up in an interesting white paper on PoE from Superior Essex, LeGrand and Fluke. You might remember we did an analysis of PoE power efficiency in the November FOA Newsletter article "PoE Analysis From The Ethernet Alliance (With Our Analysis). This graph has some data we did not consider - the efficiency of counterfeit cable that uses copper-clad aluminum conductors instead of pure copper. The inefficiency of this cable means that more than half the power will be lost in transmission - not only inefficient but dangerous as the power lost is converted to heat. 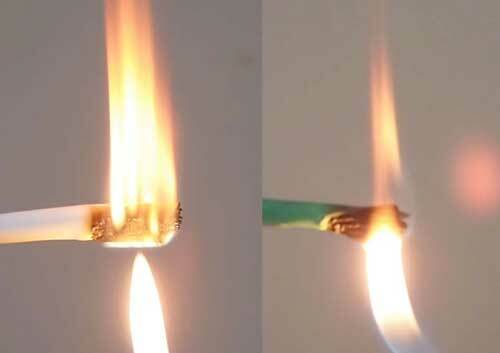 Considering that the samples of counterfeit cable that we have tested use flammable insulation and jackets, that could be a very hazardous application! Recent conversations with people involved with adding PoE applications to the US National Electric Code bring up a further problem. The IEEE did not register "PoE" as a trademark so it's being used to describe applications like daisy-chained lighting and cables longer than the 100m limit of Ethernet. This makes the safety considerations even more important - and scary. FOA is researching PoE as part of our CPCT certification and have created a FOA Guide page on PoE which we will be updating regularly. 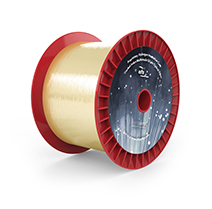 OFS PYROCOAT K coated optical fibers are designed for harsh temperature sensing and communications environments. This thin, hard polymer coating provides mechanically strong fiber with excellent chemical resistance, small cross-section, and industry-leading long-term high-temperature exposure. PYROCOAT K provides excellent thermal stability offering higher operating temperatures than other commercially available polymer coated fibers. Touting continuous lifetime temperatures of 275 °C for up to 80 years, 300 °C for up to 13 years, 325 °C for up to 2.2 years, these new fibers can also withstand short-term (24 hours) excursions as high as 450 °C. Ever hear of UL3223 certification? 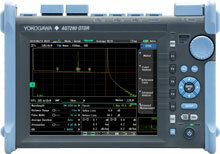 UL announced the development of this standard in 2016. UL, known for its work in safety standards raised questions as to what they would address in its standard that other organizations/standards haven’t done so already. In other words, what would be the value add for the industry in this already crowded space. We learned of this standard from a short article in a data center publication, datacenterdynamics.com, by a data center trainer. We were able to find the UL web page on their Data Center Certification Program where they state "The UL Data Center Certification Program will address the continued reliability of key components of critical data center infrastructure by integrating the multiple disciplines of electrical, mechanical, security, life safety, building automation, and telecom to create a comprehensive service." This sounds more like a competitor to the Uptime Institute's Tier Certifications or the European Standard EN 50600 by CIS. Or maybe it's just the potential size of the market, quoting from the first paragraph of UL's own web page " Statistica survey projects the public cloud market to hit $126 billion in revenue by 2020, up from $25 billion in 2015. Software and Platform as-a-service offering are projected to add another $32 billion." Robert Michael Murphy I just completed the CFOT Certification course at EIA in Akron, PA with Arnie Harris and I have to say that his training and your books are some of the best I have seen. The Book was easy to read and to understand, Arnie explained everything at a level we could understand and then expanded on the information as we learned more and more. It was some long days and it was worth it! Thank you and Thank you, Arnie Harris, for the great teaching! It is much appreciated! I will be back again to take more of your courses! EIA - FOA School #195. Do you make New Year's resolutions each year? 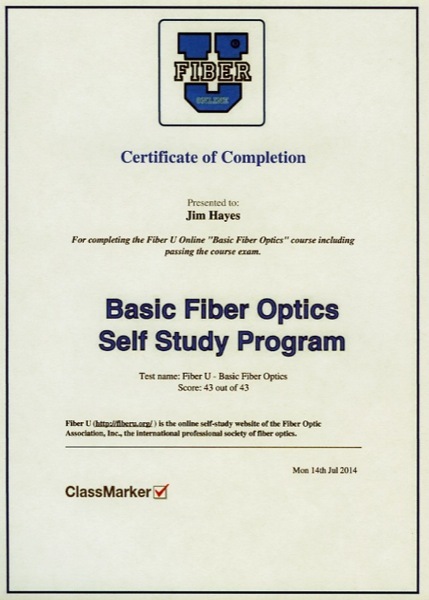 Why not add to the list "Improving my knowledge of fiber optics." 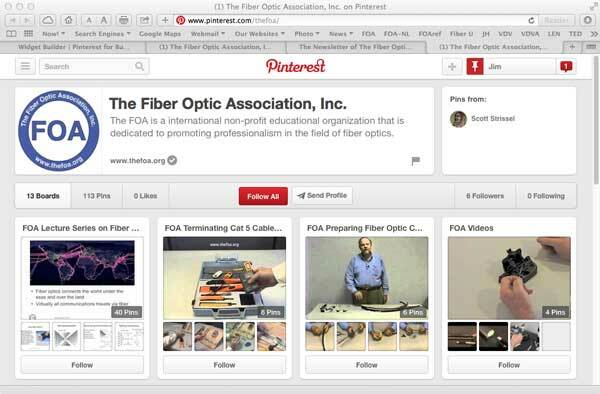 and take one of the free online courses at Fiber U? 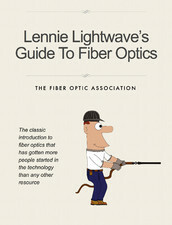 Want to know more about how fiber is used in data centers, optical LANs, or the whole spectrum of wireless applications. You can do that on Fiber U. For only $20 (covers the testing service costs) you can take the online Certification of Completion exam and get a certificate for your wall. 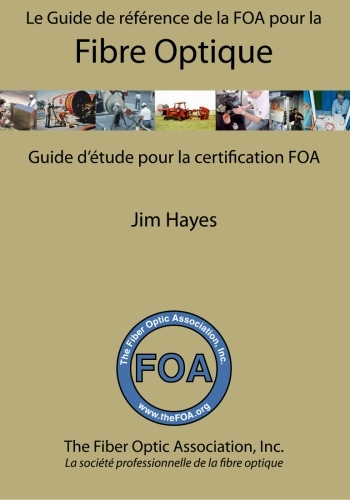 That certificate can be your ticket to FOA Certification if you have the right experience. 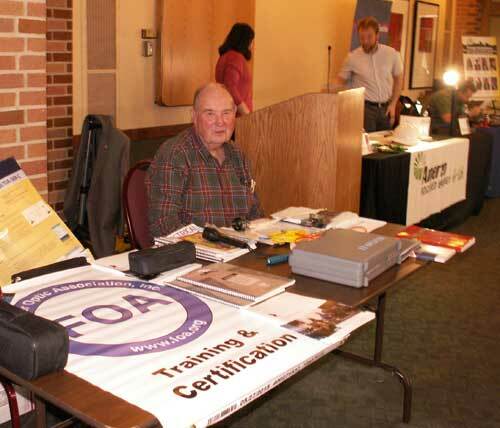 See the FOA "Work-to-Cert" program. Everyone's talking about "Smart Cities" but what makes a city smart? It's a combination of services that will be delivered over an extensive fiber optic network. This video examines an advanced Smart City, Santa Monica, California, and looks the current services that make it a smart city today and what possible services can be delivered in a Smart City over fiber in the future. 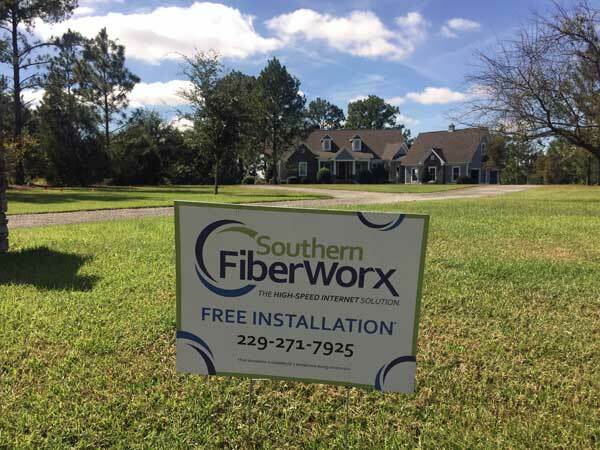 Fiber has become the critical part of the infrastructure for the expansion of wireless communications. Just a few years ago, fiber was used to connect cell sites to the telecom system and backbones for enterprise LANs that were adding WiFi wireless access points. 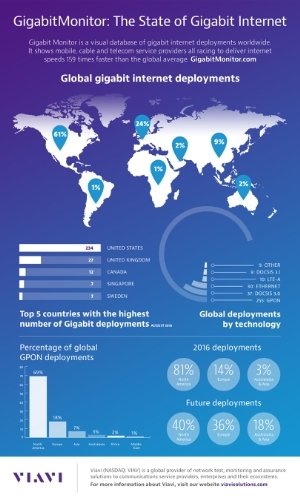 Now mobile devices and demand for bandwidth are driving major changes to these applications. Today, we have LTE and 5G coming, RAN and Gigabit WiFi. We need fiber backhaul to the traditional cell sites and up the tower to the antennas, new architectures like fiber fronthaul or C-RAN that support the traditional cell sites plus small cells and DAS - distributed antenna systems inside buildings and campuses. We have enterprise WiFi, metro WiFi and even rural WiFi being used for broadband Internet. All depend on a fiber infrastructure to deliver sufficient bandwidth to meet user demands. 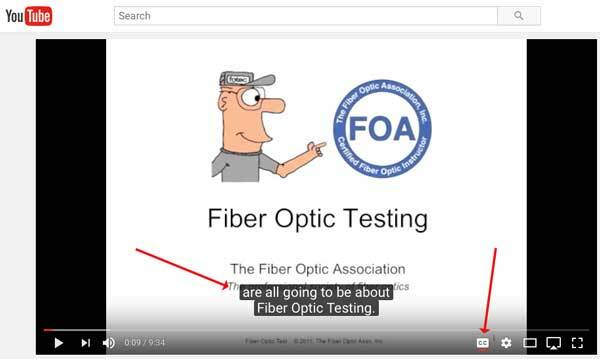 FOA has created a “Fiber For Wireless” program to cover all these applications (and define all the TLS - three letter acronyms - so loved by tech industries!) We talked to managers and technicians at telcos who are looking at all types of wireless options, contractors who focus on wireless infrastructure of all types, metro and utility personnel who use all types of communications and of course manufacturers of these new products. Who’s the audience? People who just want to know about the intersection of these two modern, fast changing technologies. The FOA “Fiber For Wireless” application specialist curriculum and CFOS/W certification will give you the background you need to understand the dynamics of today’s mobile applications and prepare you to participate in those technologies. 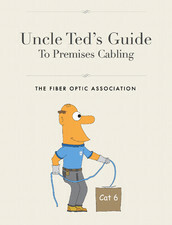 Look for it to be available from select FOA schools and online at Fiber U in the very near future. 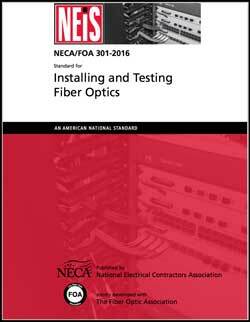 Have You Downloaded Your Copy Of The Updated ANSI/NECA/FOA Fiber Optic Installation Standard Yet? 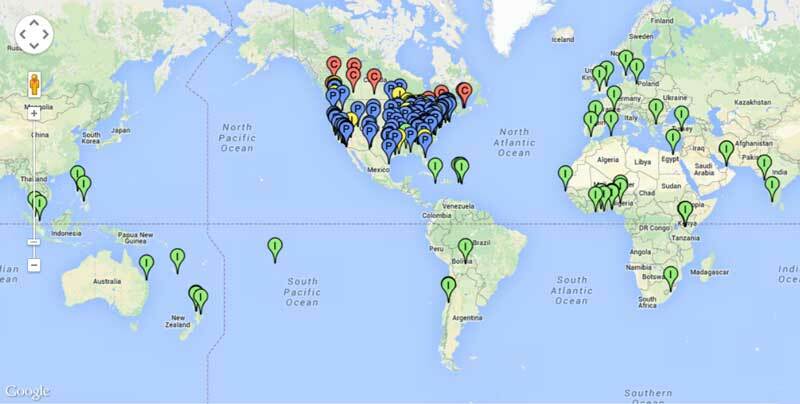 The FOA network of training organizations offering CFOT (and more) certifications continues to expand. We welcome six new schools from quite different backgrounds - a manufacturer, an electrical JATC and several independent trainers. 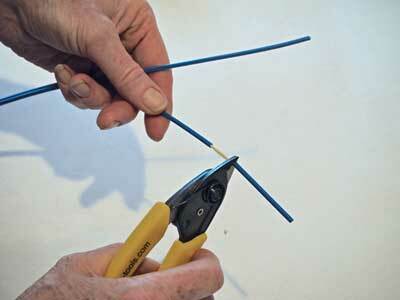 Ripley recently sent us some new fiber strippers to try, the Ripley Tri-hole fiber stripper model CFS-3. It is aimed at contractors and installers and is very reasonable prived - plus we understand there are some introductory price specials from some distributors. The CFS-3 can strip fiber jackets, 900 micron buffer and 250 micron buffer for one step cable preparation. - 1st hole strips 1.6 – 3mm Fiber Jacket to the 600-900 buffer coating. - 2nd hole strips the 600-900 micron buffer coating to the 250 micron coating. - 3rd hole strips the 250 micron buffer coating to the 125 micron glass fiber. 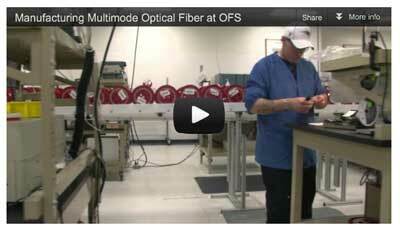 We tested the CFS-3 on several fibers and cables and found it easy to use and very consistent. It seemed much less sensitive to the angle you hold it at when stripping fibers than some strippers like this and it was very effective even stripping some older, more brittle fibers. Here's more information on the Ripley CFS-3 Part #: 81300. One of the biggest problems with multifiber MPO connectors is testing. 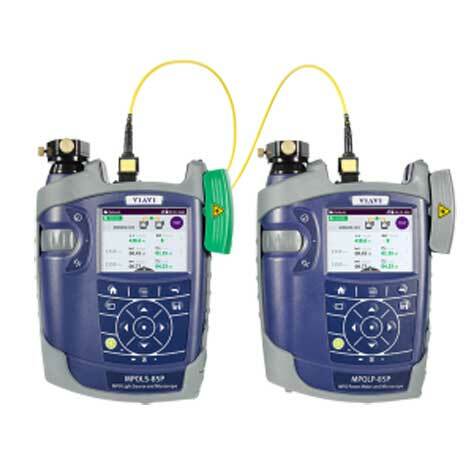 Viavi Solutions (formerly JDSU) has introduced its SmartClass Fiber MPOLx optical loss test set, a basic test solution for cabling systems that utilize multi-fiber MPO connectors. 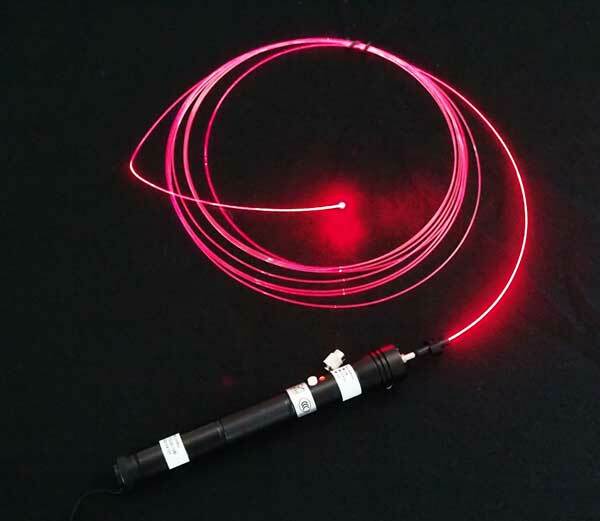 The testing of parallel optics with MPO connectors has always been difficult for regular single or dual fiber OLTS, needing MPO to SC or LC breakout cables for testing one fiber at a time and using the three cable “0 dB” reference method. The MPOLx should make testing cable plants using these connectors much easier. The MPOLx can test for length, optical loss, polarity and inspect fiber end-face condition - a complete cable plant test. 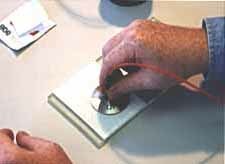 The ability to check polarity is important since there are several polarity schemes used in MPO systems. The MPOLx is fast too, delivering comprehensive test results in less than 6 seconds for all 12 fibers. More information on the Viavi MPOLx here.